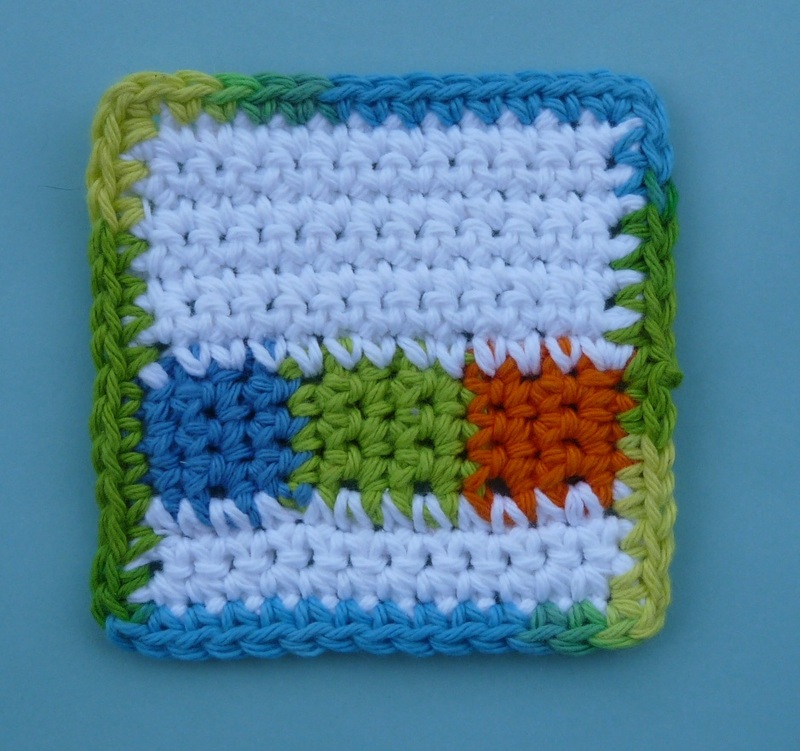 The coaster uses 2 yds of 3 different colors for the color strip, about 10 yards of white, and 4 yards for the border. Finished size is about 4" x 4"
20 whole yards of yarn? That just sounds so funny! 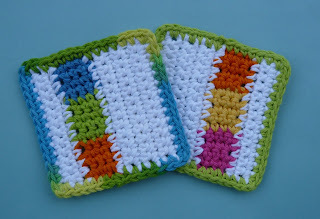 Those coasters are adorable -- thanks for the pattern! What a little cute coasters!!! hello Doni, i have a question for you. i have made some pot holders, notting fancy just double crochet. i have used them and put them in the washingmachine but the coton has some loose threads. i was wandering about the washcloths people making these days, is that a diffirent kind of coton? can you explain if i could use this for a washcloth and/or towel? Thank you for all the free patterns. They will give me hours of crochet fun.